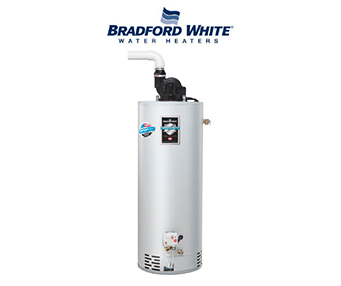 One of the first questions we are commonly asked is – “can you repair / fix my hot water heater?”. The life expectancy of most hot water heaters is 8 – 12 years. Water heaters are normally not thought about until you take a cold shower, or spot a giant water puddle next to the area near your hot water heater rests (normally in the basement). Then you have to think – should I repair or replace my hot water heater? Temperature problems – you may have water that is too hot, or water that is cold – making bathing uncomfortable. Fixing a temperature problem is usually as simple as adjusting the thermostat on the unit. However, in other situations you may have a broken heating element. Noise Issues – Most noise issues are caused by the sediment that can build up inside the water tank and cause a bang, creak, knock, or whining sound. Many times, noise issues are caused by the sediment that can build up inside the hot water tank. Flushing out the hot water tank will usually correct the problem. Leaking hot water tank – this can be caused for any number of reasons, but commonly occurs when the bottom of the tank has “rusted out” or disintegrated, etc. When is it time for a replacement hot water heater? This will depend on whether or not can be repaired. Other factors to consider are the costs of the repairs. In other words if it will cost almost as much to repair the unit versus getting a new unit, then it may be smarter to replace the unit. Hot water heater replacement will depend on the age of the unit, condition of the unit, and your budget. Why choose Noble Plumbing & Sewer to help you? That’s easy! We will ll deliver your new hot water heater to your home if needed. We will inspect your existing unit and discuss any work required to bring your replacement gas hot water heater up to local plumbing codes in order to ensure your safety if a new unit is needed. We will connect your new water heater to the existing gas, electric and water lines, then fill and test the new water heater to make sure it works properly. We will take away your old unit at no additional cost and recycle it. We will conduct a final cleanup of the job site and walk through the installation and product to answer any questions / concerns you may have. If you’re looking for the very best plumbing and sewer services for help with a hot water heater repair or replacement, look no further than Noble Plumbing & Sewer. Call us today to schedule an appointment!